Use the Fyxt RPG Character Search tool to browse through the Fyxt RPG database of player characters and non player characters. The Fyxt RPG Character Search tool is a great way to find awesome characters to help players get ideas for their own characters. GMs should use the Fyxt RPG Character Search tool to find powerful and challenging monsters and NPCs to use in their Fyxt RPG game. Check back frequently as the Fyxt RPG is constantly growing and evolving. Players will never know what they may find from week to week. Enter the name of the Fyxt RPG Character to find. Enter the level range of Fyxt RPG Characters to retrieve. Fyxt RPG Character Archetype to retrieve. Fyxt RPG Character Style to retrieve. Fyxt RPG Character Focus to retrieve. How many targets does this character fight? What range does this character prefer to fight at? Login or create a free Fyxt RPG account to search the Fyxt RPG Character Database. Combat Preference ED209 XL SE prefers to battle targets one on one from afar. 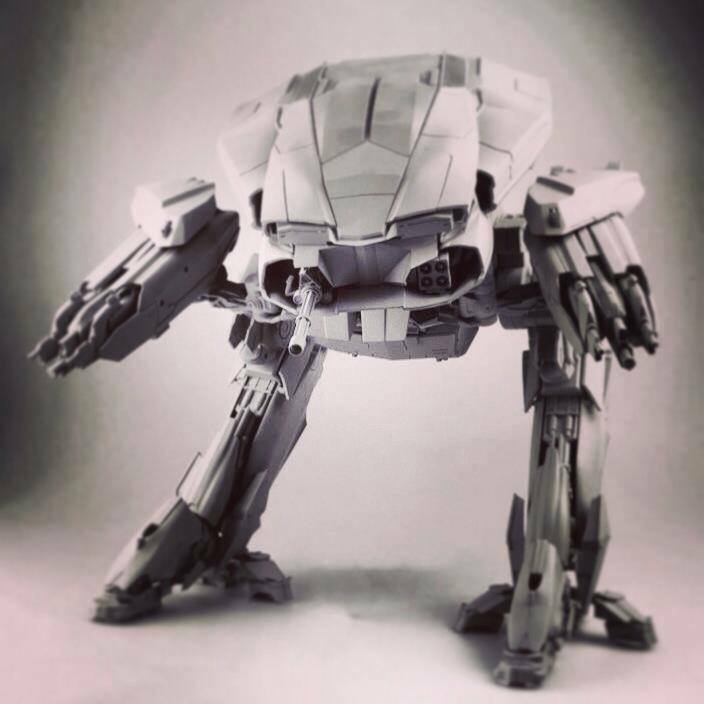 ED209 XL SE is a giant battle bot built to resemble the famous ED209 from Robocop. However, like ED209, ED209XL SE has its bugs. So the developers decided to add a driver to handle these models quirks. Unable to control the crazy power issues the designers decided instead to harness them. The robot can be erratic at times but this seems to lend to its success. ED209 XL SE is always a sure fire crowd pleaser! Combat Preference Goblin Ambusher prefers to battle targets one on one up close. This is the Goblin Ambusher for the Instant Play Fyxt RPG Quest. However, these can also be used in any other Fyxt RPG game. These goblins are the ones that lay in wait to ambush hapless or weaker looking victims. They only attack groups if their numbers are greater. They prefer surprise and a quick overwhelming kill or surrender. They have been known to let victims go in hopes that they will remember the “toll” next time when traveling in their territory. Combat Preference Gnoll Devastator prefers to battle targets at any distance. Gnoll Devastators are the most powerful of gnolls. Gnolls are hyena-head monsters that walk upright like humans. Their fur can range widely in color and patterns but usually all point to a single pack. Gnolls are evil and aggressive creatures that live in packs. They tend to lair underground. Their lair is usually what they find or take over. They despise the thought work, or working to build their own lair. They often have slaves to do any manual labor in the lair. Combat Preference Orc Spell Weaver prefers to battle groups of targets from afar. Combat Preference Hill Giant Head Thumper prefers to battle groups of targets up close. Combat Preference Jacob the Merchant prefers to battle targets one on one up close. This is the NPC Merchant for the Fyxt RPG Instant Play Quest. Fyxt NPCs that are commoners, merchants, or other non-combative characters are usually minions. They will not enter combat unless forced to. Then, they are usually easily dispatched. Non-combative NPCs get knocked out instead of killed usually unless otherwise stated. Combat Preference Bat, Dire prefers to battle targets at any distance. This terrifying bat has a body as big as a horse's and leathery wings that spread far from it's body. Shaggy fur covers most the Dire Bat's broken up by bony armor like patches breaking up the mangy fur. Combat Preference Ash Williams prefers to battle targets one on one up close. Combat Preference Ingester Herder prefers to battle targets one on one from afar. These are some of the lowest ranking and weakest of the Zakra alien species. Their purpose seems to be to tend to and herd the Ingesticites. They are a little stronger than them and seem to do whatever they can to weaken dangerous food sources such as player characters. Combat Preference Lava Constrictor prefers to battle targets one on one up close. Lava constrictors are creatures of the elemental plane of fire. They generally keep to themselves but can be quite hostile if disturbed. They can sometimes also be found as trained minions of more powerful creatures. Combat Preference Giant Fire Ant Soldier prefers to battle targets one on one up close. This giant fire ant soldier protects the entrances to the colony, responds to danger, and actively hunts creatures that are within their territory. They are vicious and single minded in their purpose. They will fight to the death for the colony. Combat Preference Ruffian prefers to battle targets one on one up close. Here are some basic ruffians that are great to use in a lot of different situations. They have courage in groups but don't stand up to much of a challenge. Combat Preference Rubbish Retribution Reaper prefers to battle targets at any distance. This beast of horror and nightmare appears anytime players do not clean up the session before. No mercy! Combat Preference Twisted Blade Prowler prefers to battle targets one on one up close. Twisted Blade Prowler is a lifelong criminal who has learned to perfect their craft. Knowing when to stay and when to go has kept them alive a long time. This experience has made them some of the more dangerous rogues to encounter. They are often part of specialized groups of rogues that burglarize, terrorize, and victimize for the guild they belong to. Combat Preference Golem Fabricator prefers to battle targets from afar. Golem Fabricator creates golems. They hold the secret knowledge and do all of the work to gather, collect, and create everything they need to create the golem they are working on. They often have unsavory or even downright evil ways in which they accomplish their work. Combat Preference Bear Grills prefers to battle targets one on one up close. Edward Michael "Bear" Grylls is a Northern Irish adventurer, writer and television presenter. He is widely known for his television series Man vs. Wild , originally titled Born Survivor: Bear Grylls for the United Kingdom release. Grylls is also involved in a number of wilderness survival television series in the UK and US. In July 2009, Grylls was appointed the youngest-ever Chief Scout at age 35. In short, he's a wilderness survival badass! Combat Preference Sniper - Instant Play prefers to battle targets one on one from afar. This character designed for use with the sci-fi Instant Play Fyxt RPG Quest. The Sniper is a character that likes to fight single targets at range with weapons. The Sniper also has some stealth skill to sneak around and get into position for battle. Combat Preference Mindbender prefers to battle targets at any distance. This character was created for the Instant Play Fyxt RPG Quest (future). This Psionic is built to be able to do a lot of different things depending on the situation. This character is meant to fill a more utilitarian role in the group. Combat Preference Raver prefers to battle groups of targets up close. This character was created for the Instant Play Fyxt RPG Quest (future). This Raver is designed to give allies bonuses, penalize enemies, and lastly assist in the battle. Combat Preference Gable 1387 prefers to battle targets one on one at any distance. Gable 1387 is a humanoid male that is 1.9 meters in height. His skinny frame and pale complexion served him well when he was an interrogator. But now due to the TY-13 Implant he now must use his skills to heal and this frightening demeanor is off putting to the groups he is assigned to protect. He wears his silver hair long to hide the TY-13 as it is a sign throughout the government of guilt of a crime or crossing the wrong group.